Have you ever wondered where the middle of nowhere is? I found it - Wells, Nevada. Wells, Nevada is smack dab in the middle of Reno and Salt Lake City, roughly 250 miles from/to each city. 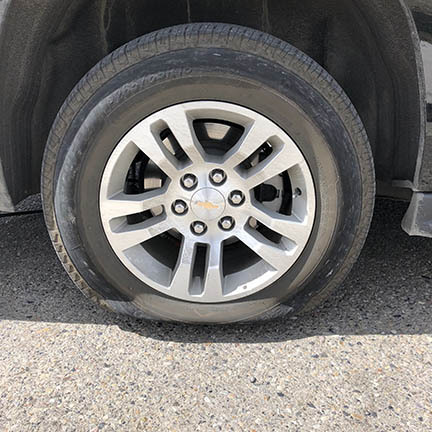 It was at the Love’s gas station in Wells that I discovered I had a flat tire. A flat tire on the first day, the first leg of my 2 1/2 month RARECAT Tour Across America. 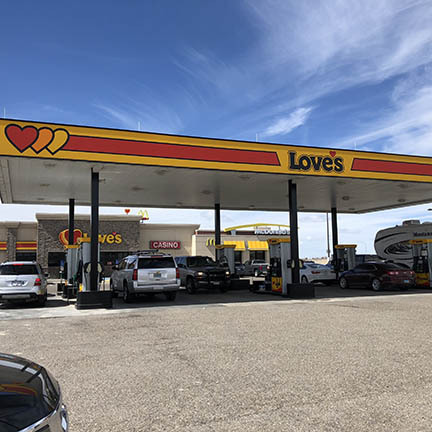 At the time I arrived at the Love’s gas station, I had never heard of Wells. According to Wikipedia, Wells is a small city in Elko County, in northeast Nevada in the western United States. The population was 1,292 in the 2010 census. Wells is located at the junction of Interstate 80 and U.S. Route 93, approximately 50 miles (80 km) east of Elko and is part of the Elko metropolitan area. From my vantage point, Wells only seemed to have 2 gas stations designed to handle large trucks and a Motel 6. I called Enterprise Car Rental for help and when I found out that I could only drive 50 miles an hour for a maximum of 90 miles on the space… well, let’s say I need to apologize for my behavior. Within a few minutes the Napa office manager called and she suggested I look for a tire company. I make it clear I was in the middle of nowhere, in Wells Nevada, half way to nowhere on Hwy 80. I told her she could work on that solution since I was on hold with AAA. So she did. She called me back with Austin’s phone number. So, I called Austin. Austin arrived, a 5’10”, slender man, wearing a blue work shirt and pants with tool pockets. His left arm had a dark, large tattoo of what looked like a screaming tormented skull. It was a large tattoo that covered most of his forearm. Austin showed up in a tow truck. 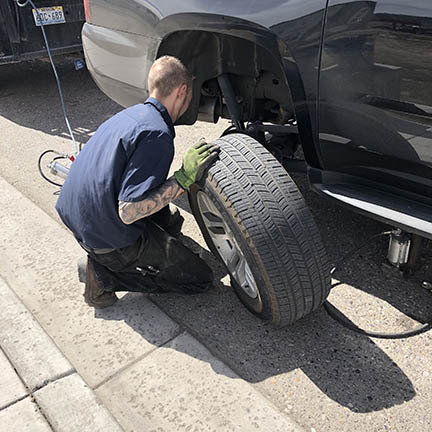 He looked at the tire, jacked up my car, removed the tire. 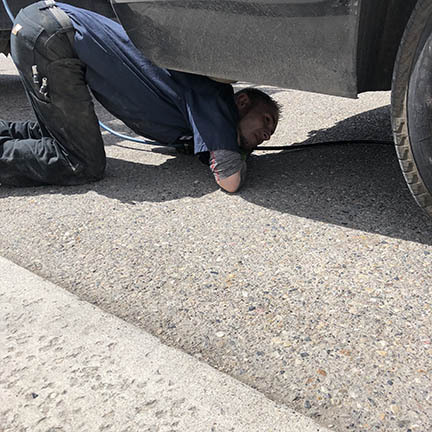 He said he would return in a few minutes with either a patched tire or a new tire. And he left. So, I ate lunch and waited. Within 15 minutes, Austin was back with a patched tire which he put back on the car. Austin was efficient, professional, and knowledgeable. In a total of 45 minutes, I was back on the road driving to Salt Lake City. 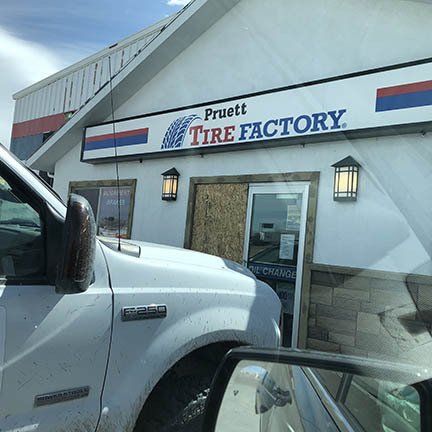 It turns out within 1/4 mile of my broken down car was Pruett Tire Factory. Service is excellent, prices are fair, and people are nice... my kind of place. I was reminded in the middle of nowhere, there are good people. There are good people everywhere and they come in all shapes and sizes. Austin had a beautiful 3 year old daughter who had a smile a mile wide. He and his wife dream of going to Hawaii. They charged me $56.00 to fix the tire. And they wished me good luck on the road trip across America. One of my lifelong dreams was to work at a winery. I didn't know how the story would unfold, however I envisioned harvesting grapes and making wine someday. Every few months for the past 15 years I have taken out that notebook with my life aspirations and check marked what I had accomplished and earmarked future goals. In October 2014, I left a very successful property management recruiter position of 14 years. This was not an easy transition for me especially because I intentionally left my job without another one. As a recruiter you never encourage your own candidates to do this, and I was preaching to them and doing the opposite. Everyone is motivated differently. My motivation came from wanting to explore several interests with special attention toward wine and food. I started researching several wine schools and certifications the summer of 2014. I had fundamental knowledge of wine and food from growing up around the restaurant business and my father's wine bar, however never intentionally studied either craft. I chose the Napa Valley Wine Academy because of the instructor's credentials and the array of certifications and programs available. 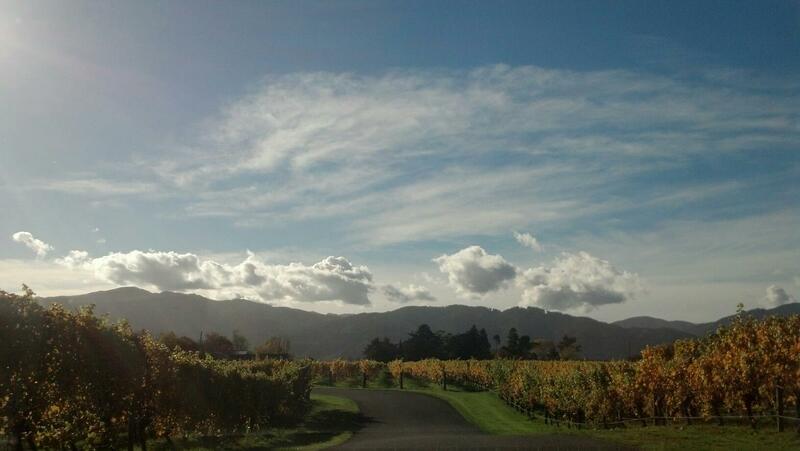 I loved that the Academy was in the heart of Napa Valley! My initial goal was simple. I wanted to take my fundamental wine experience and immerse myself in theory knowledge and any hands-on experience for exposure. 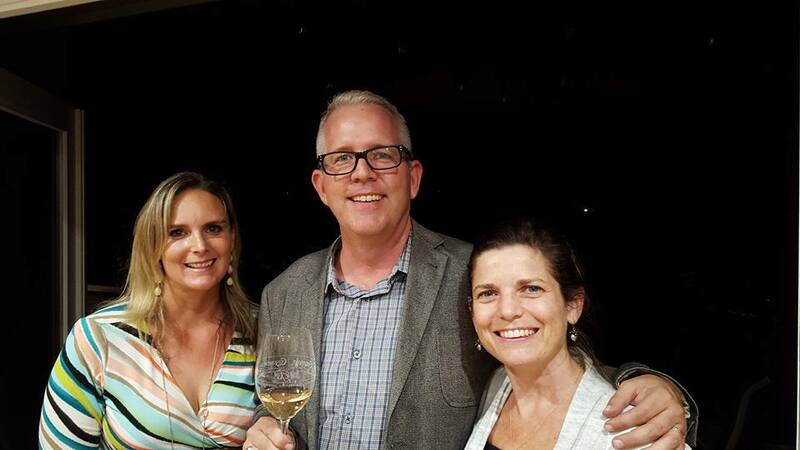 The NVWA WSET program gave me the jump-start I needed to enter the wine world. My intention mixed with opportunity led me down an exciting wine path that I started to visualize years ago! I made lifelong friends that I traveled abroad with to study wine and currently see on the east and west coasts! Starting the WSET program through the NVWA has been one of my most rewarding personal achievements. It was exciting and fulfilling! I didn't know what the next chapter would look like. For the first time in a very long time, I was Ok with that. I was fully immersed and present in this new world I was creating for myself. I'm excited to share the rest of this story and will soon. My goal is to share my joie de vivre of my world wide wine and food journeys and every so often something that I have checked off on my experience bucket list!